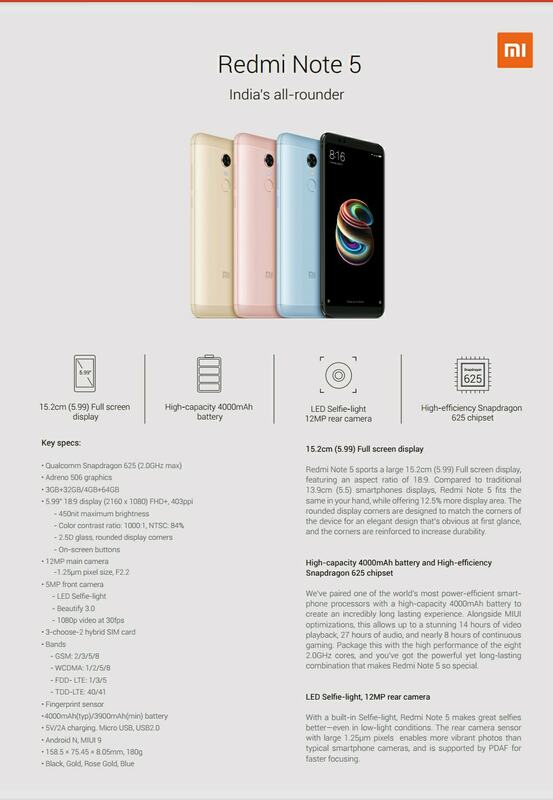 Xiaomi is all set to launch its much-awaited Redmi Note 5 and Note 5 Pro smartphones tomorrow in India, and we have already got a lot of details related to the specifications of both phones. Today, however, we have probably the biggest leak related to both phones that left nothing to know about the Xiaomi Redmi Note 5 as well as the Redmi Note 5 Pro. The full spec sheet along with the official render has leaked out today that reveals all the details and also confirms the previous ones. 3GB+32GB or 4GB + 64GB or 6GB + 64GB storage options. Well, the only thing left to confirm now is the pricing. Xiaomi is going to announce everything tomorrow in Inda. As per the specs, we think that the Redmi Note 5 Pro is the smartphone that is going to compete with all the budget phones launching this year. 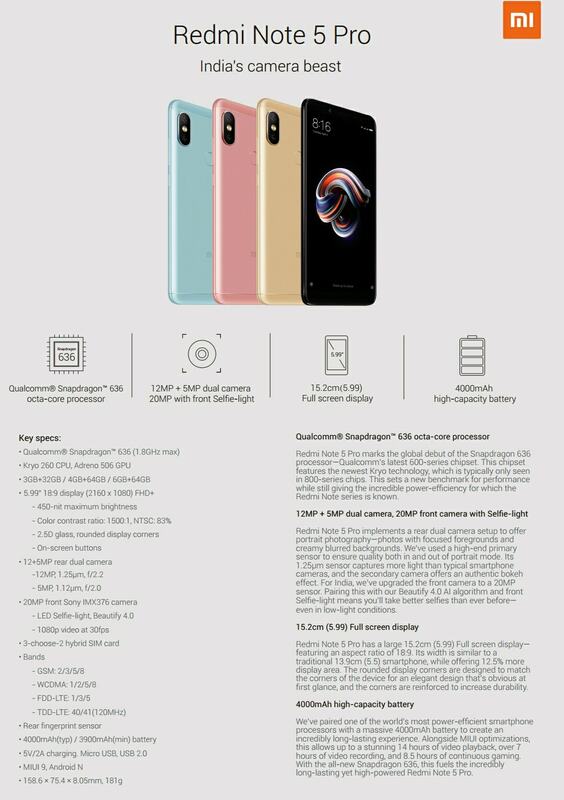 What are your views on the design and the specifications of the Redmi Note 5 and Redmi Note 5 Pro? Do let us know via the comments section.